The first time I visited the village of Wulai in the mountains outside of Taipei, I had only been in Taiwan for a couple of months. This was a local tourist destination famous for its hot springs, and it also offered lots of shows by the native Atayal people. My favorite was The King impersonator who did a great job transporting Vegas Elvis across the ocean into a sequined white suit with lots of fringes. He sang pretty well, too. But that was my sum impression of Wulai until a friend took me there for lunch. And then I had some fish. The day didn’t start out as anything special: we took a bus up the winding road into town, roamed around the few streets, admired the enormous piles of fruit the area produced, and studied countless red plastic trays piled with the produce and proteins that each little restaurant displayed outside the front door. My friend settled on one place overlooking a meandering creek, and I was delighted when I spied some very tender bird’s nest fern fronds (shānsū 山酥) that a proprietress assured me would be great in a stir-fry, and they did actually turn out to be just as soft and slippery as I’d hoped against some chewy pork shreds decorated with fermented black beans. Then came a steamed freshwater fish adorned with ochre beads that I could not identify. My friend called them pòbùzi 破布子, which must be a transliteration of some local name, since i just means “broken cloth seed.” Their flavor really made my taste buds stand up, because they were like capers crossed with soy sauce, and they formed the perfect complement to the tender fish. I have come to call them “Taiwanese capers.” They have hard pits inside, just like olives, so be sure not to feed them to children and others who might crack a tooth if they’re not careful. These capers are sold in jars in the pickle section of many Chinese groceries under a variety of names, like shùzǐ 樹子 or yīnshùzǐ 蔭樹子, so the main thing to look out for are the little fleshy seeds floating in a clear brine. 1. 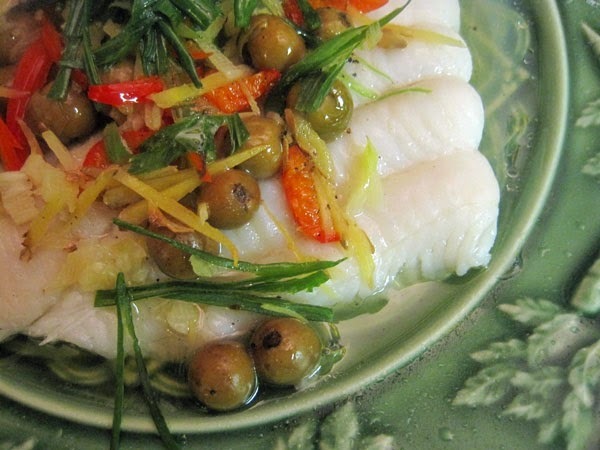 Pat the fish dry and lay it on a rimmed plate that will fit easily into your steamer. Sprinkle the salt and rice wine over it and let it marinate for about 15 minutes. Pour off any liquid that accumulates on the plate. 2. 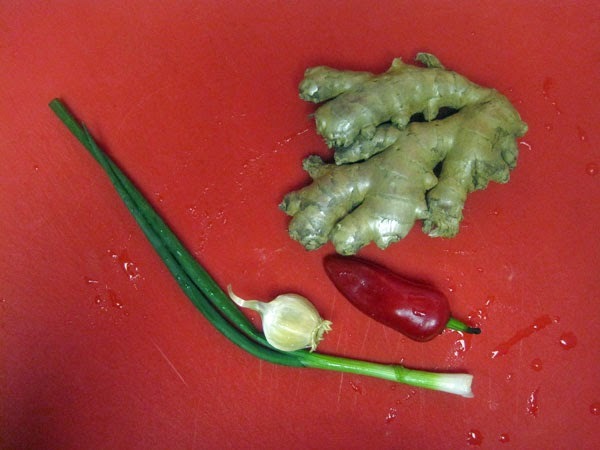 Sprinkle the top of the fish with the ginger, garlic, chili pepper, and the whites of the onion, as well as the capers and their brine. Steam the fish until it is just done, which will depend upon your fish and the heat of your stove—start checking at around 7 minutes. When you can effortlessly insert a chopstick in the thickest part of the fish, remove the plate from the steamer and pour off the salty juices. 3. Array the onion greens down the center of the fish and drizzle the soy sauce on top. Heat the oil in a wok until it almost starts to smoke, and then pour this evenly over the green onions. Serve hot. The capers are the unripe fruit of Cordia dichotoma. When ripe the fruit are very viscous and sticky, and have been used as birdlime. I had no idea they were pickled as unripe fruit. Thank you for another interesting post. I admit I have never seen foods with 破布子 until I visited the Taiwan outside of Taipei. When I first asked the restaurant owner in Taichung what they were, she looked incredulous and spoke to me as life I had been living under a rock. It seems to be used very commonly everywhere outside the capital region, but for whatever reason I had been insulated from it all my life. Or maybe this is one of those ingredients to got popular in the last decade? I'm just like you, as I had never encountered these until my last visit to Wulai. 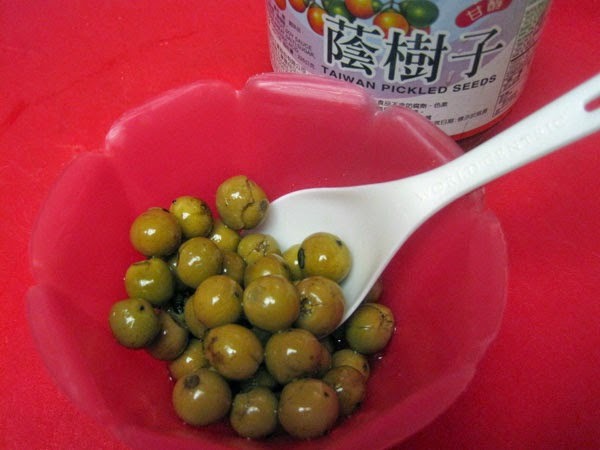 However, many of the Chinese markets around here in the Bay Area carry these capers, so I think they have been "discovered" by Taipei's foodies as a good local ingredient, and this led to more people realizing how good they are.